The official video for the song “Water” from THE JELLY JAM — featuring DREAM THEATER‘s John Myung, DIXIE DREGS/WINGER‘s Rod Morgenstein and KING’S X‘s Ty Tabor — can be seen below. 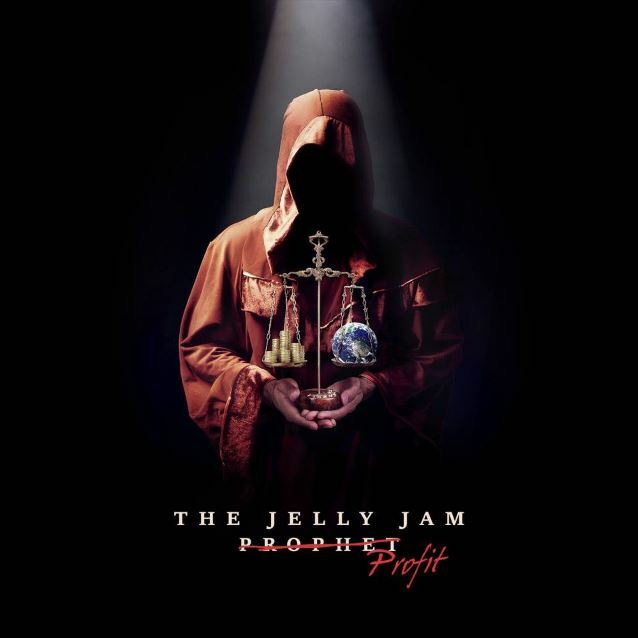 The track is taken from THE JELLY JAM‘s latest album, “Profit”, which was released on May 27 via Music Theories Recordings/Mascot Label Group. “Profit” is a glorious and affecting cinematic experience; full of suspense, the record follows the heroic yet daunting journey of The Prophet who, inspired by a deep sense of responsibility embarks on a mission to try and save the world, to open the eyes of Those Who Will Not See. THE JELLY JAM‘s first album, “The Jelly Jam”, was released in 2002, followed by 2004’s “The Jelly Jam 2”. The members’ work with DREAM THEATER, WINGER and KING’S X kept the band away from the studio until the critically acclaimed “Shall We Descend” in 2011 marked a triumphant return for the trio. Tabor describes the album’s concept as “a fight between progress and jobs at all cost and not thinking about any future payment that are going to have to be made.” Adding further that, “Each JELLY JAM album is very different and we are most definitely discovering new ground. The first album was pretty straight ahead in its nature and vibe. The second album was more about the songwriting and had a very different feel. By the time we got to ‘Shall We Descend’, we were all at different musical places. It had more of a darker edge to it, but we finally realized that we had tapped in to something that was unique to us. There really is no JELLY JAM ‘sound’.